Maimane says he has sent a formal request to the president, calling on him to give sufficient proof of his alleged home loan obtained from VBS Mutual Bank. 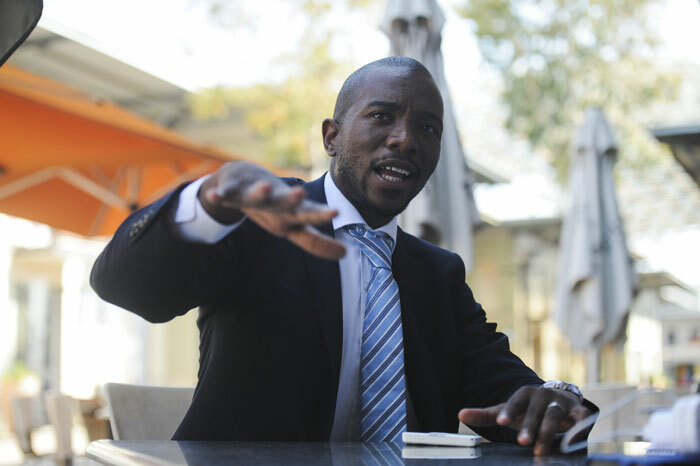 Democratic Alliance (DA) leader Mmusi Maimane on Tuesday said President Jacob Zuma must make public documents proving that he financed his repayment of funds spent on his Nkandla home because the opposition was unable to find any trace of a bond in his name at the deeds registry. “I have today sent a formal request to President Jacob Zuma, calling on him to make public sufficient proof of his alleged home loan obtained from VBS Mutual Bank to pay back the R7.8 million for nonsecurity upgrades to his private residence in Nkandla,” Maimane said. He said without evidence, the country could not be satisfied that Zuma complied with the Constitutional Court ruling that ordered him to personally repay taxpayers’ money spent on luxuries added to his home. “While we recognise the right to privacy, the merits of this case are unprecedented,” Maimane said. According to the DA, the public needed to know if the loan existed, what its conditions are, whether Zuma personally signed surety for the amount or somebody else did. Maimane said it was the second time that he had written to Zuma requesting details of the loan. He went on to accuse the president of having a long history of having friends foot his bills. Zuma for two years resisted Public Protector Thuli Madonsela’s finding that he was liable for the cost of unrelated items added to his home during a security upgrade. He finally conceded readiness to repay a portion after the DA and the EFF approached the Constitutional Court, which handed down a ruling to that effect earlier in March, in which it held that by sidestepping Madonsela, he had flouted the law.